My name is Steve Hoyles. I’m a fitness blogger at www.hoylesfitness.com. I’ve spent over a decade in the fitness industry with 8 of those years managing gyms. 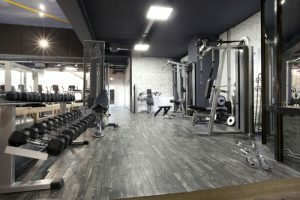 In my time in the fitness and gym industry I’ve learned more than a thing or two about gym membership sales and I’m going to share a few easily-actionable ways for you to save money on your gym membership. Negotiating with your gym isn’t something to be scared of. You don’t need a poker face or the negotiating skills of a hard-nosed businessman. You just have to realise one thing – you are the customer and hold all the cards. They need your membership more than you need their gym. Gym managers have heaps of pressure applied from target-driven bosses and will do all kinds of things to make sure these are hit. This creates all kinds of opportunities for you to save money on your gym membership. Finally, the article doesn’t go through really complicated, long-winded ways to save a few quid – they are all really simple tips that can be used today! I’ve broken the article into two sections. Section 1 is more useful if you are about to join a gym and section 2 can save you money if you’re already a gym member. I’ve done this because there are ways to save money no matter what your gym membership status is. A little inside info… Your ‘joining fee’ is just a bonus for the gym – it doesn’t pay for anything. It’s just an extra cash boost for the business. The joining fee varies depending on the gym, but in London £100+ is not uncommon. Ouch. The sales guy will tell you it’s an admin fee or that is pays for your welcome pack. Don’t believe it – admin staff will take a couple of minutes to process your membership, and your welcome pack (usually a towel, a cheap drawstring bag and a branded water bottle) has a cost price of less than £5 when bought in the volume they buy. More inside info…. Sales staff are often instructed they can ‘drop close’ – they are authorised to reduce/remove the joining fee to close the deal and sell you a membership. This is powerful – as a customer, you’re happy because you think you are getting a bargain and the salesman is happy as he notched up another sale without upsetting the boss – the reduction was pre-authorised. Use this information to your advantage – ALWAYS negotiate the joining fee. You can always offer to meet them half way and refuse the welcome pack. As a thank you for public service, many gyms offer a discount to government employees. How far this stretches is dependent on the business, but the usual suspects of armed forces, police, NHS staff and teachers usually qualify. When I was a gym manager I offered the same discounts to council employees and social workers, so if you fit into those categories I’d certainly enquire about a discount – if you don’t ask, you don’t get! Most gyms will offer significant discounts on multiple member deals. Depending on the number of you who join, a discount of up to 30% is not uncommon. By the way, it doesn’t matter if you are family, friends, boyfriend/girlfriend, colleagues or drinking buddies – they all count! Additionally, research shows if you train with a buddy you’re more likely to show up and stay committed, so there’s a double bonus! When you visit the gym, ask about the discounts for multiple joiners even if a multiple joiner deal isn’t advertised. For extra chances of success, turn up with the person who is interested – you’ll be taken more seriously. Use staff discounts to your advantage. Do you know or are related to a member of staff at the gym? If so ask do they have a friends and family membership package. I know of a few gym chains offering up to a 50% discount to friends and family members of staff. Furthermore there are no limits on numbers of people who this applies to. A final benefit is that staff at the gym are often rewarded for introducing members, so they may receive a nice little bonus too! Do you work for a company with a large employee base? Are you an active member of a community? Do you attend a church or play for a sports club? If so, you may be able to negotiate your own group discount. When I managed a gym, I offered all of the local sports teams a discounted membership rate; I knew I’d get 20+ members in, so it was a great sale. But I went further than that – I extended the offer to their wives, girlfriends and coaches. 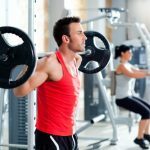 If you are an influential member of a group of any sort and think you could persuade a good number of them to join the gym with you, approach the gym and ask for a group discount. I’m sure you’d be successful! Lots of membership packages are priced based on what’s available to you – classes, time of access, sauna use etc. You may not use a lot of these services you are paying for every month, so could ask for a discount. Lots of members pay for access to classes they never attend or pools they never swim in. Additionally, if you only train in the morning or weekends, ask if there is an ‘off-peak’ rate that may be cheaper. Many gyms offer class-only, gym-only and pool-only packages. See if changing your membership to one of these will save you money. Threaten to leave for a rival gym. As a rule, I don’t really like this tactic, but used at the right time it’s incredibly effective. Here’s another industry secret – as well as sales targets, gym managers also have ‘leavers’ targets – they have to keep the amount of people who leave their gym below a particular number. Use this information to your advantage, because it’s powerful – especially if you are approaching the end of your membership contract (if you leave part way through a contract, you may have to pay up the remainder). 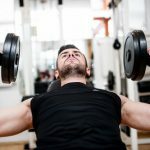 There are things to consider here – you risk souring a relationship you’ve built up with a gym, you also have to have a genuine alternative option (managers aren’t stupid – they’ll know their competition and rough prices of them), but if a viable alternative is offering a better deal, see if your current gym can match it. Join the company membership deal. Lots of businesses have a corporate deal set up with a gym providing a discounted rate for their staff. As a first point, ask your HR department or the gym of your choice if they have a corporate deal you could take advantage of. There’s a good chance the gym won’t advertise these offers so you may have to play detective, but usually HR departments are keen to share the benefits of working for the company. If there’s one there, join up because it can save you a fortune over the course of a year (or longer). Alternatively, if you don’t have a company membership deal available to you, look at tip number 5 above and see if you can help introduce one! You’re more likely to get a discount with an independent business rather than a chain. Make smart decisions on your fitness – are you actually going to use a gym? Would a bike or class attendance be cheaper in the long run? Tour the local gyms before you join – you may be able to play them off each other and get yourself a better deal! So there are 11 tips to help you save money on gym membership you can use TODAY!